Up to this point, we knew that the anticipated Sonic Mania was coming to the PS4, Xbox One, PC, and more recently Nintendo Switch as a digital download. However, recent images suggest that Sonic Mania may also get a physical release, at least for the Nintendo Switch version. 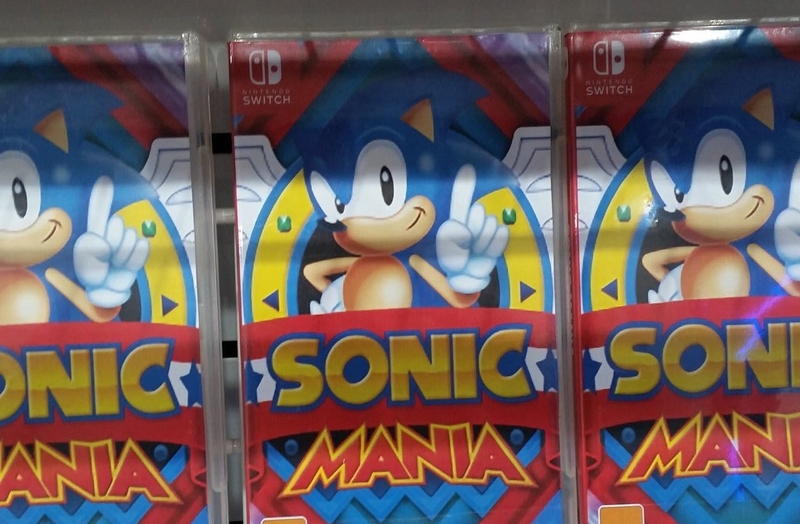 @SuperAj3 on Twitter recently posted an image of mockup cases for Sonic Mania, originally from EBGames Australia. According to him, he asked the people behind the counter about the game, and it was in their database. Later, another Twitter post from the official EBGames Australia account claims that they are “expecting” a physical release for Sonic Mania at this stage. Together, this hints at Sonic Mania getting a physical release, at least for the Nintendo Switch version in Australia. However as of this writing, nothing from SEGA has been officially confirmed. It’s also unknown if a physical release will be available in other regions or if there will be physical releases for the other versions such as for the PS4 and Xbox One. [Update] Sonic the Hedgehog social media manager, Aaron Webber, has taken to Twitter to set the record straight. According to him, there isn’t ‘currently’ news on the physical release. Well duh! It has to have a physical release seeing that its coming to the Switch! How so? Does the Switch not have online capabilities? I’m waiting on a boxed version for 3DS Sega, I’ll give you my money! If there is a physical release, I wonder if they’ll have a collectors edition with one. I love that statue, but prefer a physical release. I preordered the Switch collector’s edition on Amazon. I sincerely hope I get the option to receive a physical copy if this is true. This annoys me, not because of receiving a physicalncopy, but because once again, it seems Nintendo hardware is given preferential treatment, look how that turned out last time. Sonic has never really been any good on Nintendo hardware with the exception of Sonic Colours. But so what, Sonicx Generations was better. Oh well think of the benefits of the future, if Sega comes back into home hardware again, then if this didn’t get a physical release, it’s another one less Sonic title on a Nintendo system, as if it is digital only, Sega can just remove them from the service if it wants even if they were profiting from them on a rivals hardware.